Captain Meriwether’s Landing, originally known as Captain Meriweather’s Landing & Pasta Co, was a local restaurant for nearly two decades located near the historic Port of Bismarck on the bank of the Missouri River. It was noted for having an outdoor deck that overlooked the Missouri River. Meriweather’s was established in 1991 in what was formerly a train depot in nearby Wilton, relocated from offsite. Meriwether’s original intent was to be operated seasonally along with the neighboring riverboat, whose ticket office was also housed on site. Initial high demand prompted year-round operation. The restaurant’s format was originally quite casual restaurant, where patrons could throw used peanut shells onto the rustic hardwood floor. The format eventually evolved into more of an upper scale dining establishment. The restaurant was remodeled in 1994, at which time it expanded its menu to include steak and burgers. It was remodeled once more in 1998, when a sit-down bar was added. Facing increasing financial difficulty, part of which as a result of several long-term road closures near the restaurant, Meriwether’s closed on September 5, 2009. 2011 flooding destroyed the historic building. 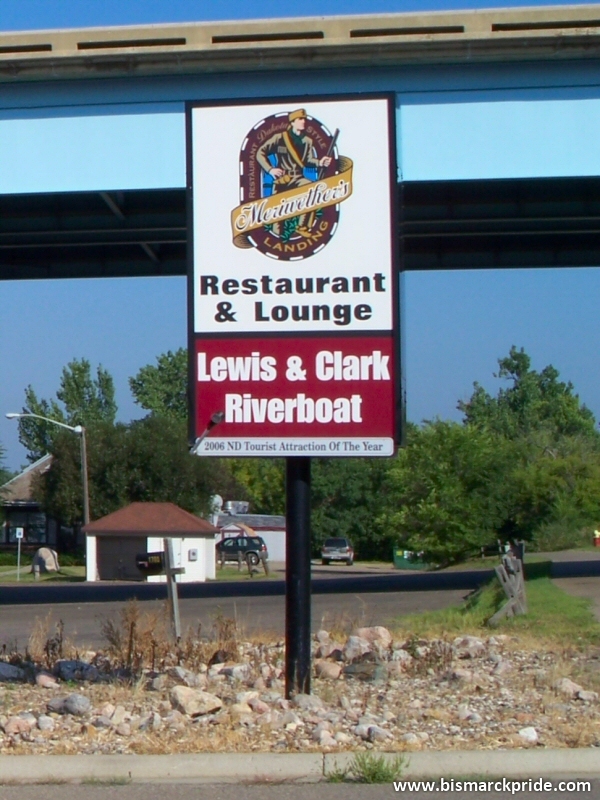 The restaurant was named to honor Captain Meriwether Lewis, who, along with his partner William Clark, spent the winter of 1804-1805 at a camp near present-day Washburn (about 35 miles north of Bismarck). Lewis reportedly introduced pasta to President Thomas Jefferson.